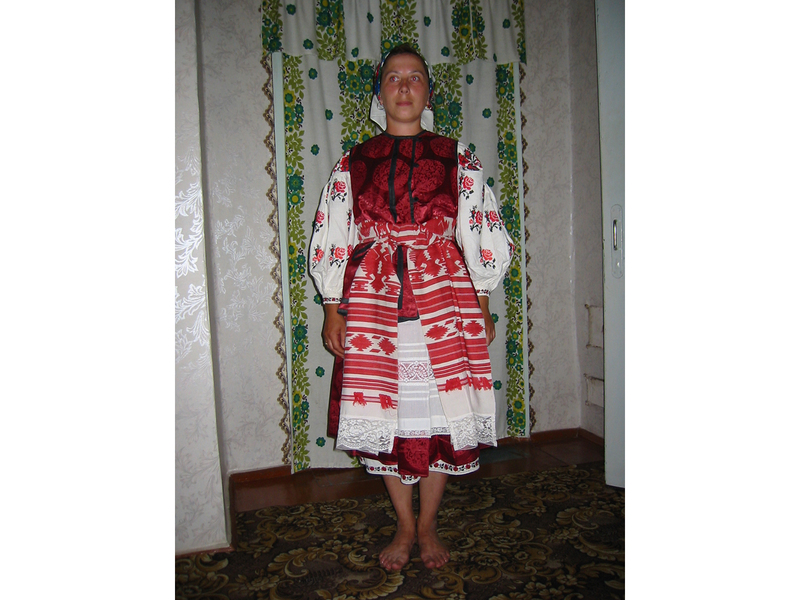 Vyshyvanka (an embroided shirt) is a traditional embroidered piece of clothing. 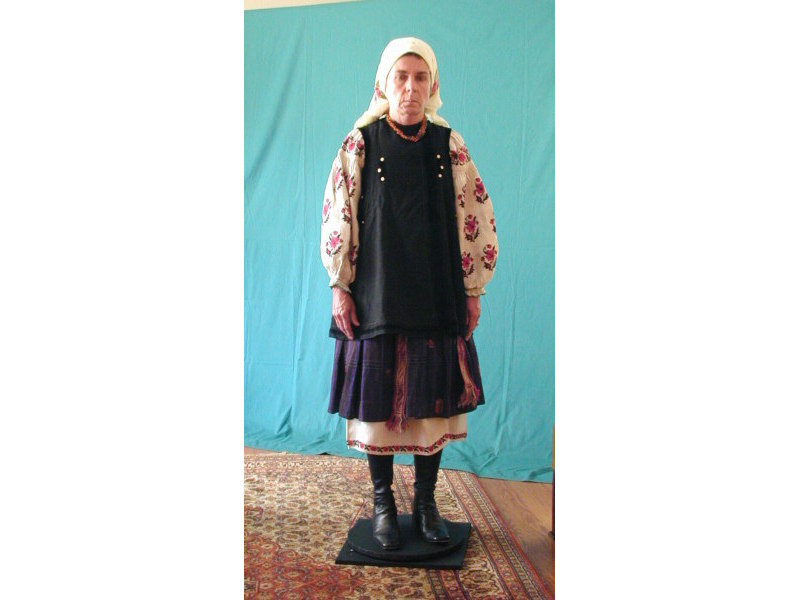 People also embroider blouses, dresses, skirts and aprons. 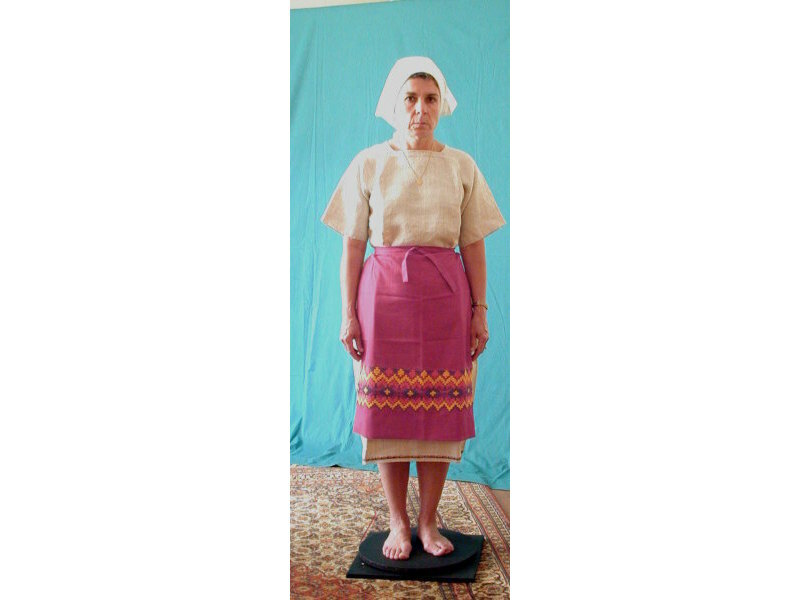 Embroidery was started by women and is still considered to be a woman’s activity today. Almost every woman knows how to embroider in Ukraine. Embroidery has a long history. It was used to decorate fabrics for home and churches. Embroidered fabrics mainly included towels, pillowcases, handkerchiefs, etc. An embroidered rushnyk is a symbolic piece of cloth that is used in many rituals, during a wedding for example. The main piece of clothing that is embroidered is a shirt. Mostly sleeves, cuffs, the neck, and the front are embroidered. There are many designs. Different areas in Ukraine have various ornamental patterns. Some of them are presented below. Here are two Object Movies of Natalie Kononenko. She can be rotated to show the complete costume. 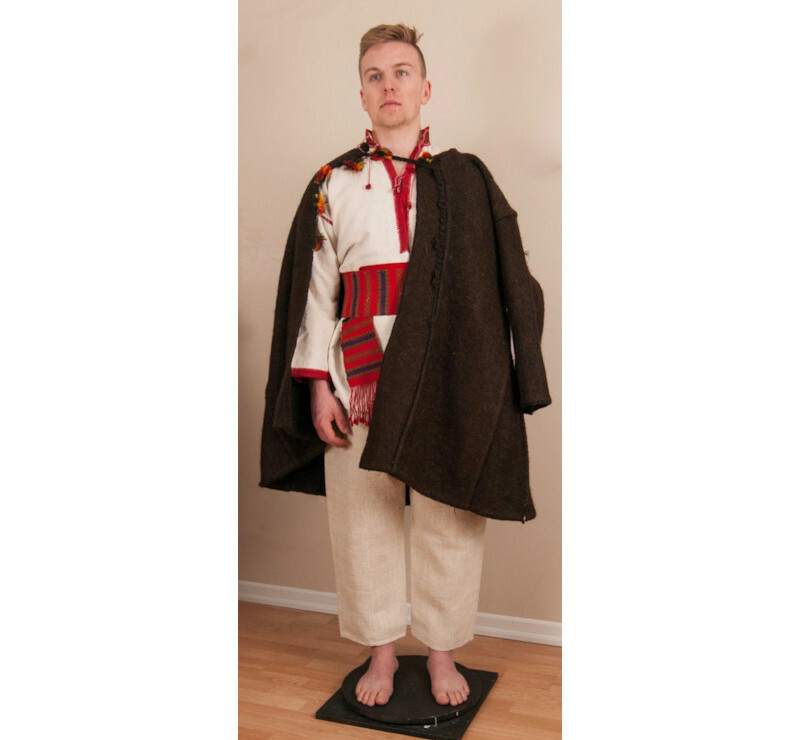 Here are two people in Edmonton wearing traditional clothing from different parts of Ukraine. and a black decorated vest.